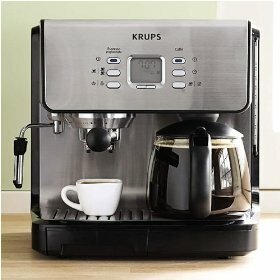 A couple of month ago, I bought this coffee machine because I have read some reviews online that this machine makes great tasting cappuccino and espresso. But after a couple of weeks of using this, the espresso function did not work. I called customer service, and they asked me to ship the machine back and wait a month-and-a-half because the warehouse has closed, even though this is the newest model. I was also trying to find a coffee replacement pot because I saw a small crack on the pot. But after going to different malls, I can't find a coffee replacement pot for it. I am very disappointed with my purchase of this machine. I will probably shift on another brand of coffee maker.